Medicine Meets Virtual Reality or “MMVR” began in 1992 as a conference where clinicians, scientists, engineers, educators, military, industry, and students came together to improve clinical care and medical education through the use of newly affordable computers, the rapidly expanding Internet, interactive media, and the emerging field of virtual reality. Each discipline contributed its own skills and perspective. By identifying and supporting shared objectives, their collaboration resulted in better alignment of new technologies with the real-life needs of caregivers, patients, teachers, and learners. 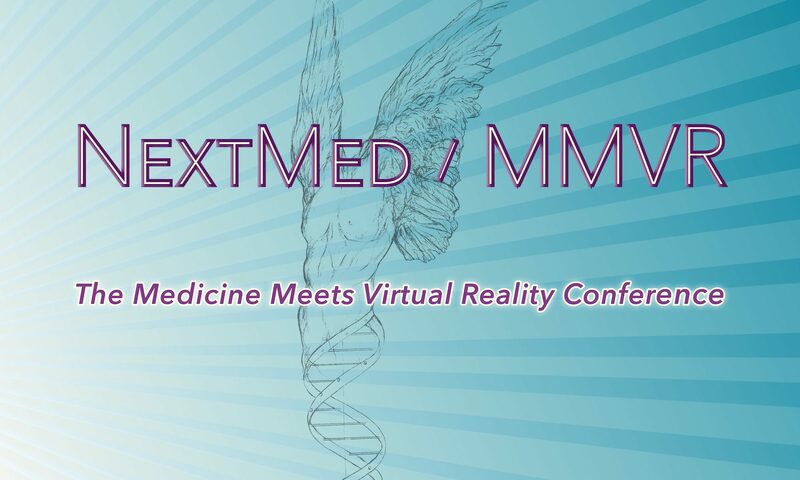 The educational program grew during the next two decades to encompass the related themes explored in the NextMed conferences. In addition, partner organizations, especially TATRC and DARPA, hosted adjunct programs that brought new topics and enthusiasm. Throughout its history, NextMed / MMVR mixed traditional assessment and validation methods with unorthodox problem-solving to promote fresh solutions to healthcare challenges. Lectures, posters, panels, exhibits, demos, workshops, tutorials, and field trips educated participants about innovative tools that resulted in more precise and effective medicine.